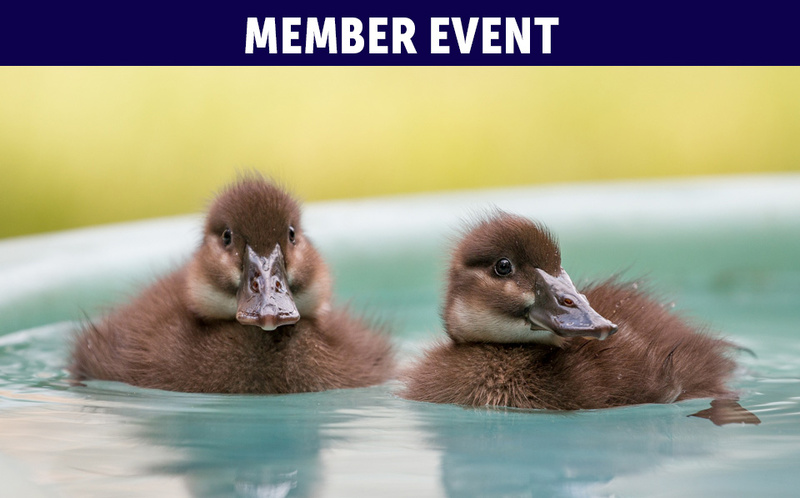 May 4, 2019 | 9:00 a.m. - 12:00 p.m.
A very special event for Sylvan Heights members at the aviculturist level or higher. This event is FREE, and is open to upper level Sylvan Heights members only. The day begins with a full breakfast at the park, an update from Director Mike Lubbock, and then a behind-the-scenes tour of the Sylvan Heights Avian Breeding Center led by Mike and Sylvan Heights staff. This is the ultimate day for waterfowl enthusiasts. Children can marvel at being shown how to "candle" an egg and witness new babies hatching. Reservations are required. Please register by May 1, 2019. To join or upgrade your Sylvan Heights membership, please click here.